ice crystals and snowflakes everywhere! We have HAND MADE Elsa and Anna costumes in every size. some magical makeup and crystal snowflakes for her hair. create some "Frozen Art" in a Winter Wonderland of snow and ice! Check out the MULTI-DAY EVENT schedule below and call to book your session today. The first 20 princesses to book their appointments will go home with a beautiful tiara! JOIN us for a great opportunity to get a session on SALE AND GIVE to a wonderful charity! September is Family Portrait Month! Our studio is the perfect scene for any type portrait session. 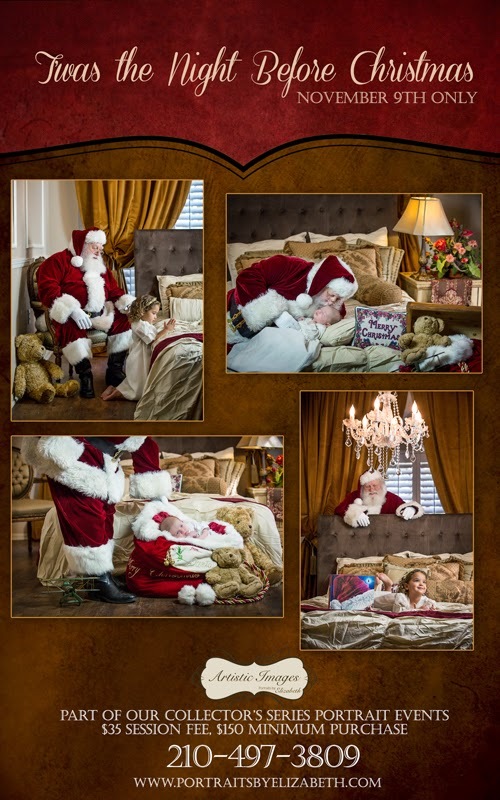 Whether you want our casual western cabin, our beautiful flowing pond, our bright and cheery window room or a traditional studio setting, we can create a wonderful family portrait that fits your style. For ONLY $99, you will get a 45-60 minute session inside or outside ANY WEEKDAY in September OR on Saturday, September 27th. 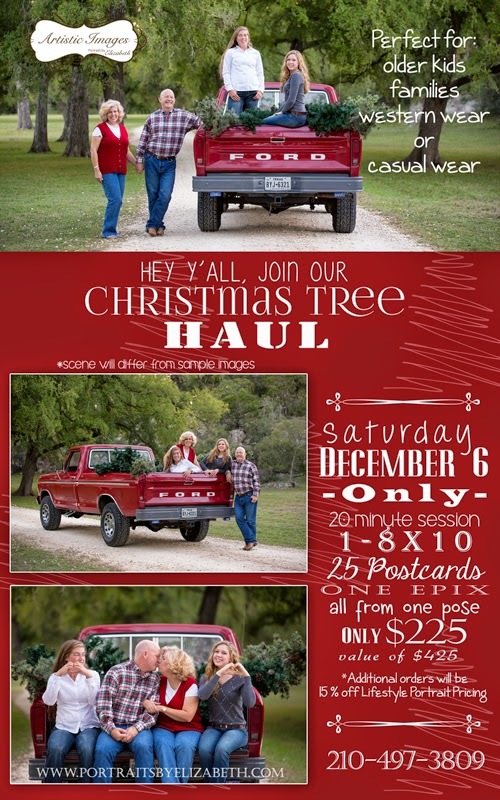 So, GIVE BACK, and get your Christmas Cards checked off your list before all of your friends!! Call us today to book your session! How do these DESTINATION portraits work? 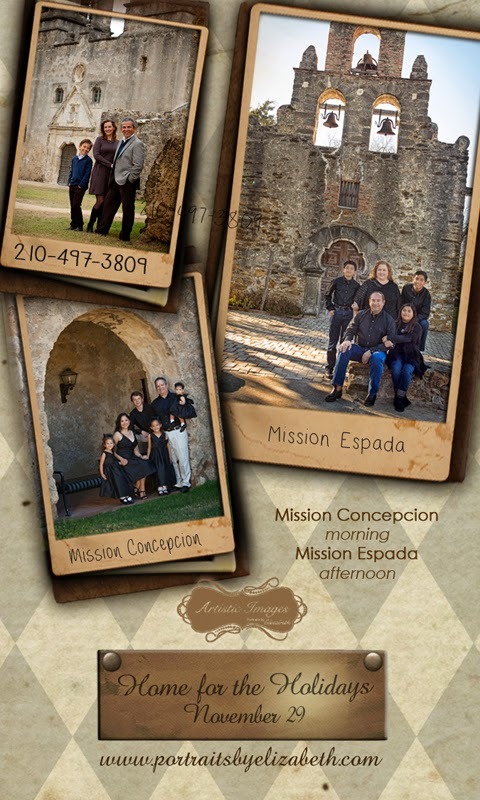 Do you have a favorite Vacation spot that would be PERFECT for your next family portrait? We would LOVE to go with you and make that a reality! If we are only going for you, there is a session fee, a minimum order and hotel/airfare expenses involved. IF, you can get another family to join you on your vacation and I can do their portrait session as well at the same location, then the hotel/airfare expenses are waived. In some cases, if we plan the trip well in advance, I can advertise that we are going in the hopes that someone else would love to join us at that location. 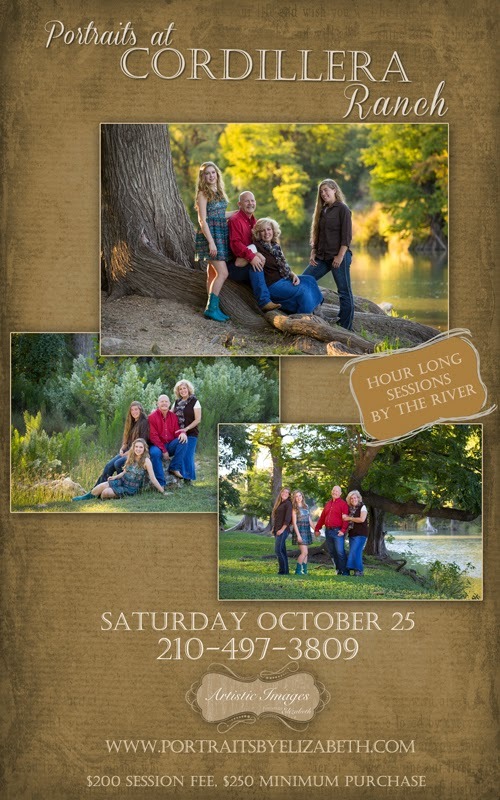 Each family will have their own portrait session on different days/times. If a location OVERSEAS is your destination of choice, we do have to have THREE separate sessions in order for my travel expenses to be waived. However, if you are willing and able to pay my travel expenses for myself and my assistant, then I am willing to go whenever and wherever you want! All you have to do is ask! So, here are some of the locations that have been mentioned by clients as a possibility. None of these have dates or anything...yet. not to mention incredible mountain views and something we rarely see in San Antonio...SNOW! someone else that is wanting to go there too! Have Elizabeth spend all day with you! 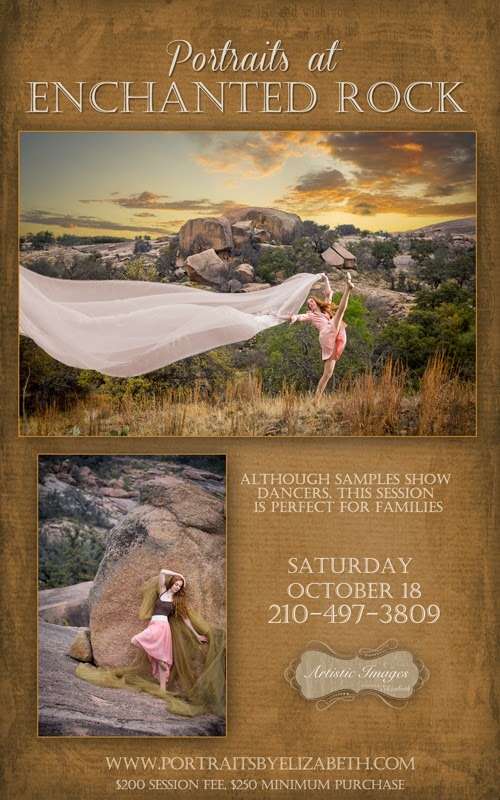 As always, we are scheduling family portraits at YOUR favorite location on YOUR choice of date throughout the Fall Season. 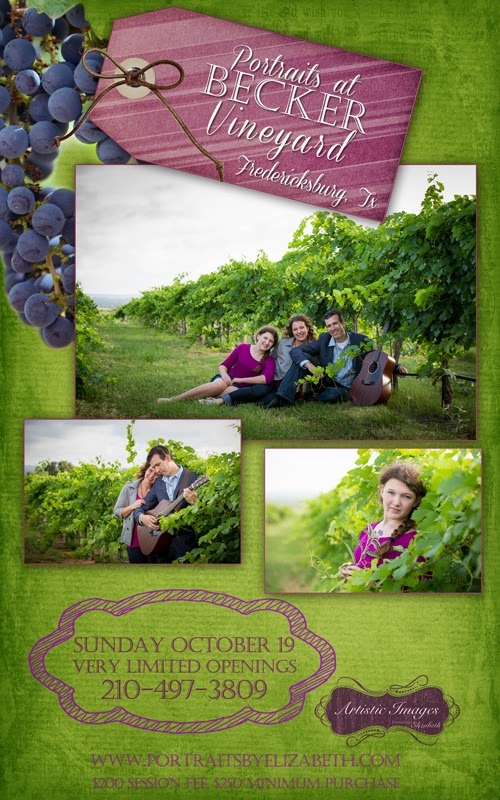 However, dates will fill up quickly and I don't want you to be left without an amazing fall portrait session. Interested in doing a Fall Session at the BEACH? We are contemplating a weekend getaway in September or October. Call if you are interested in that! Also, we are taking requests for Christmas Break Destination Portraits. We are thinking BRECKENRIDGE or PARK CITY?? Or maybe even a warm destination like Puerto Rico or the Caribbean? I will go wherever I can get TWO sessions! Call if you have ideas. 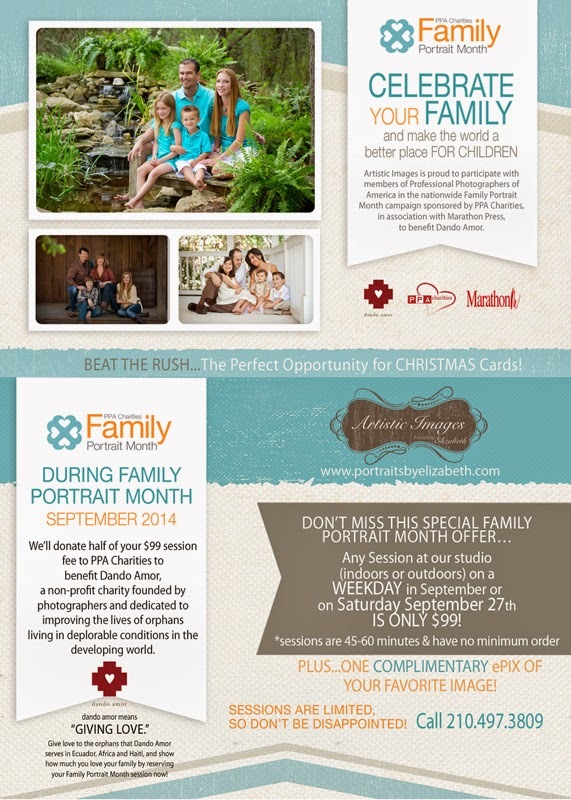 We are excited to announce the 2014 Themes for our fabulous Christmas Portrait Events. 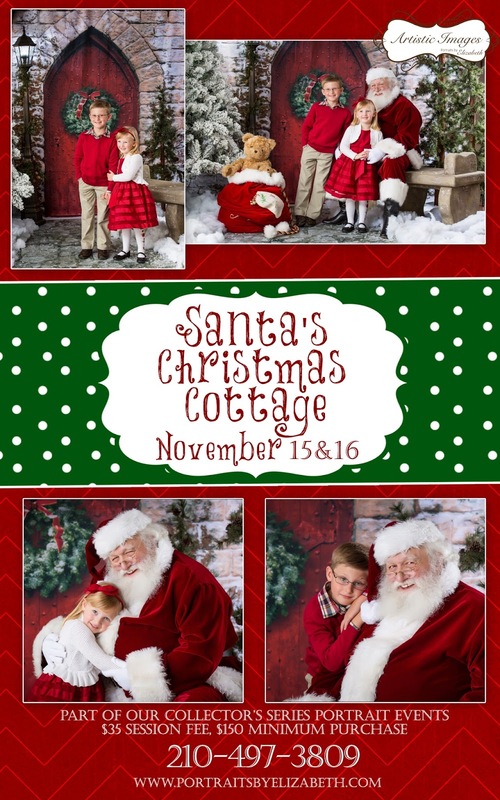 These are a BRAND NEW look this year and we hope you are as excited as we are to continue our 22 year tradition of photographing children with the REAL Santa Claus! Perfect for all age families or just the kids. The scene will be even COOLER than the above images. Our super cute wooden Christmas Tree Stand. would look awesome in Western wear. Feel free to add in some of your own favorite props if you wish! THANK YOU for checking out my blog and keep your eyes out for more exciting FALL happenings!